Enugu State is Located in the south East geopolitical zone of Federal Republic Nigeria and also the headquarter of five South Eastern states. Each spacious room is fully air-conditioned, designed with an en-suite bathroom and fitted with gleaming tile floors, mahogany bed frames and worktable, a safe, as well as a multi-channel flat screen TV. The on-site restaurant serves an a la carte menu every morning at the guesthouse. Drinks are provided at the bar. The on-site spa offers a range of beauty and relaxation treatments to guests. The hotel features conferencing facilities to host corporate events. Car hire, airport pickup, city shuttle and laundry services are available at additional charges. 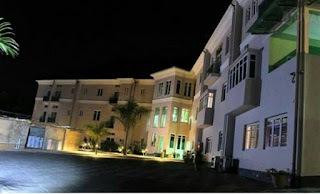 The premises are guarded by security personnel and onsite parking is available. 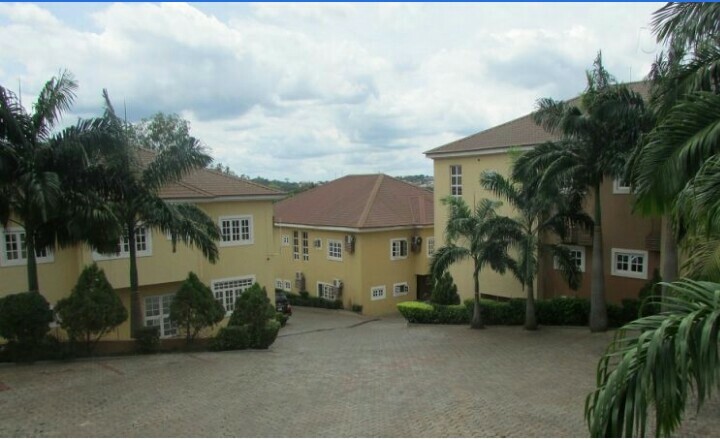 Where's near - Is 10 km from Enugu Shopping Mall and a 12 minute drive from Enugu International Airport. Each room in De Angelo Hotel And Resort is fully air conditioned and fitted with a flat-screen TV, a fridge, and an en-suite bathroom, Meals are provided the on-site restaurant and the bar serves a variety of drinks. 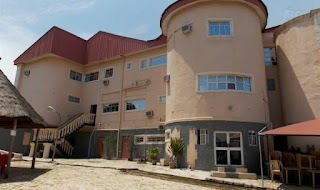 Where's near - De Angelo Hotel and Resort is 1.2 km away from Genesis Deluxe Cinema and 11.7 km from Akanu Ibiam international Airport. Each room is spacious, fitted with an air conditioner, a TV with satellite reception, a wardrobe, gleaming tiles and designed with en-suite bathroom. Complimentary breakfast is served daily. 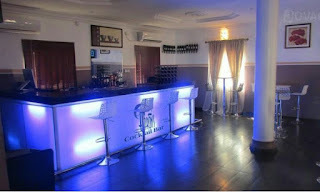 Guests order a variety of drinks at the cocktail bar which is fitted with a flat-screen TV and an air conditioner. Where's near - Is a 5-minute drive away from Enugu International Airport, a 10-minute drive away from Shoprite and in close proximity to Okpara Square and Stadium. Each room in the hotel is fitted with an en suite bathroom, a TV and full-length windows. The suites are also spacious and have a separate living room with a TV lounge. The onsite restaurant serves local and continental dishes which guests can enjoy in the dining room. Guests can also enjoy light snacks and beverages while relaxing at the bar. The hotel features a gym and a gift shop. Onsite parking is available. The hotel staff can arrange laundry and dry cleaning services for free. 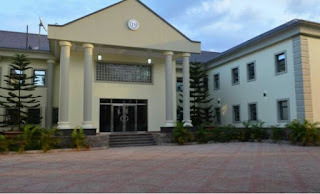 Meeting and conferencing facilities are also available. Where's near - Is 5 minutes away from the stadium, 10 minutes away from the airport and 5 minutes from the Michael Okpara Square. Breakfast service is available. Guests can order a variety of meals and drinks at the restaurant and bar. Outdoor dining is available. The hotel houses a gym. Car hire, laundry and airport pickup services attract additional charges. 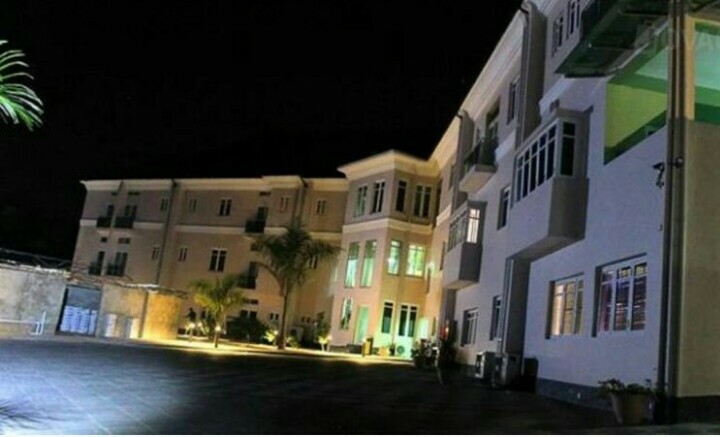 Where's near - The Hotel Properties Limited is in proximity to Nza Street, Independence Layout. 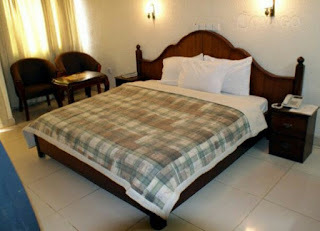 All the rooms are air-conditioned, decorated with framed paintings, and fitted with flat screen TVs, refrigerators, telephones, and bedside lamps. Each room has an en-suite bathroom with a power shower. It has an on-site restaurant and bar that serves a variety of dishes and drinks. Guests can take a swim in the hotel's pool after a workout session in the gym. The sauna is also open to guests who enjoy steam baths. Golden Royal Hotel provides airport pickup, car hire, laundry, and business services at a surcharge. Parking facilities are available and the premises are guarded by security personnel. 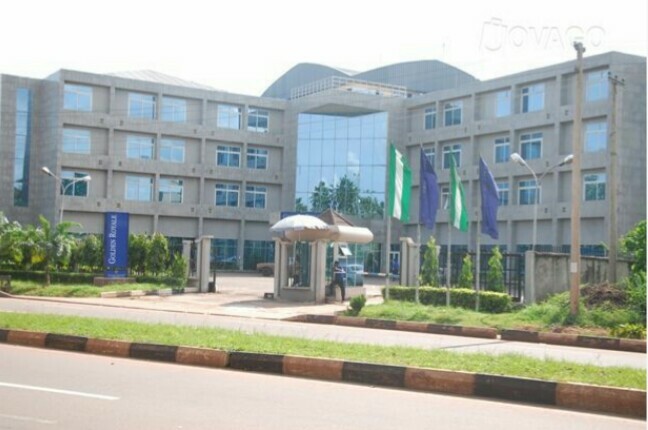 Where's near - Golden Royale Hotel Enugu is in close proximity to Guaranty Trust Bank and Lift Saxum. It offers all the comfort and convenience needed by business and leisure travelers in a luxury hotel, boasts free WiFi and guests are assured excellent services. Each room in the hotel is lavishly furnished to have a comfortable bed, air cooling system, sofa, table, living area and en-suite bathroom with bathtub or shower. Services - Local and continental dishes are served at the on-site restaurant while the bar is stocked with soft drinks and alcoholic beverages. Complimentary breakfast is also one of the awesome services the hotel offers. The outdoor pool at the resort give guests an avenue to take a dip in the water and also there is a well-equipped gym where guests can enjoy workout session. There is a room service option for guests among other value added services such as laundry and dry cleaning which come at a surcharge. At De Castle, there is a meeting/banquet facility which can at a time accommodate an excess of 50 people. Where's near? 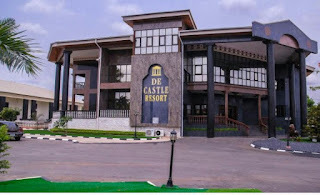 De Castle Resort is a 2-minute drive from Polo Shopping Mall. Services - Offers breakfast every morning. Guests order meals at the on-site restaurant. The well-stocked bar serves light snacks and drinks while guests relax in the outdoor lounge. Guests can dine outdoors at the garden under thatch shades. Gym and an outdoor pool available. Where's near? 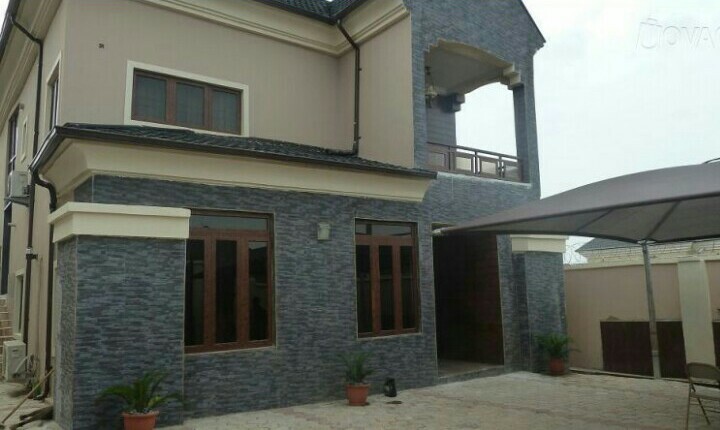 It is a 3-minute drive away from Shoprite, a 10- minute drive away from the International Airport and in close proximity to Nigerian Army barracks (82 Division). It is a luxury holiday home perfect for family vacations and business getaways. Services - The onsite restaurant offers local and international delicacies out of which guests can make a choice of meal, while a variety of assorted drinks can be ordered at the on-site bar. 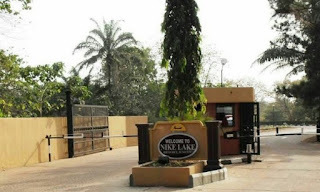 where's near- Nike Lake Resort is a 2-minute drive from Ocean of Grace Believer's Church and lies in close proximity to the local airport.